Junior Church takes place every Sunday at 10.45 as part of our normal Sunday Worship. The children go to their own room part-way through the service where they enjoy exploring the Bible and various activities connected to the section under discussion. Periodically the whole morning Service is conducted as an All Age Family Service when the whole church including the children celebrate and worship together. 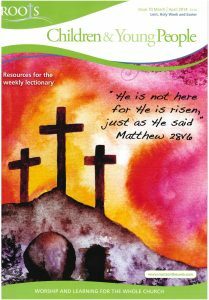 The Junior Church follows the ‘Roots’ Syllabus which is produced by a partnership of most of the main denominations.